The 2011 Candidates Matches had seemed relatively settled. Azerbaijan’s capital city of Baku would be one venue, with the host’s picking Mamedyarov as their nominated player, giving us a line-up of: Topalov, Kamsky, Kramnik, Mamedyarov, Carlsen, Radjabov, Aronian and Gelfand. The one sticking point was Aronian, who was unwilling to play in Baku (see this recent interview), but it was assumed a compromise would be reached to hold some of the games elsewhere. 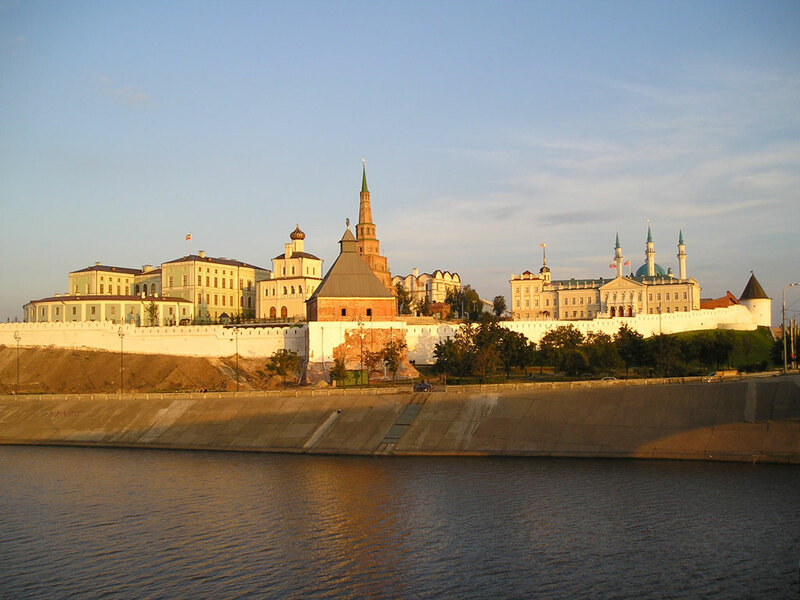 1) Switching the men’s Candidates Matches from Baku to Kazan, with a guaranteed prize fund of 420 000 euros. 2) Changing the Women’s World Championship planned for Turkey in December 2011 into a World Cup, with a match tournament then to be held between the Grand Prix winner, the World Cup winner, the number one on the FIDE rating list (Judit Polgar!? ), and the current World Champion, the Russian Alexandra Kosteniuk. The Russian Chess Federation, although it was the one to nominate Kirsan Ilyumzhinov as a candidate for the FIDE Presidency, considers that the current rules violate the rights of certain grandmasters and even, perhaps, jeopardize the running of such important competitions. Unofficially the source in the federation said that “he considers the appearance [of these proposals] quite strange”. In his words, FIDE is in any case looking at the idea of running the half of the tournament involving Aronian in Russia, while depriving Baku of the right to hold it would “be a blow to Azerbaijan, where chess is actively developing”. Speaking of the women’s cycle, the source said that “it would be wrong to change the rules of the game midway, when the system’s already established, and moreover a move to a match system is written into the rules for the near future”. We have a signed contract with the International Chess Federation, and moreover FIDE and the Azerbaijan Chess Federation have established friendly relations, including both our support for the head of FIDE, Kirsan Ilumzhinov, and support from the highest level of our head of state. So why on earth should FIDE take the tournament from us, when we’ve had an agreement for so long now? For now it’s hard to say where the limits of any compromise on our side would be. But I won’t hide the fact that it’s more important for us that we have an Azerbaijani nominee than that we hold the Candidates Matches themselves. It’s a higher priority for us. For now it’s hard to say where the limits of any compromise on our side would be. Important for us are both the place where the Candidates Matches are held and the presence of an Azerbaijani nominee. According to the current rules those pairings are correct. But some ask: why should the pairings be based on the ratings for 1 January 2010? The Candidates Matches will begin in March 2011, so wouldn’t it be more logical in the given situation to base the pairings on the relative ratings on 1 January 2011? A similar questioning of issues that already seemed to have been set in stone can be found in Emil Sutovsky’s open letter on the format of the Candidates Tournament (proposing longer matches), published after discussing the question with Ilyumzhinov himself. These seemingly minor technical changes could of course have a significant influence on where it would be possible to hold the Candidates Matches. I would like to declare that I would not participate in any stage of the cycle for the World Chess Title that takes place in Russia, in order to avoid problems and conflicts that already took place there. He believes it to be as natural for him to refuse to play in Russia (after the Elista debacle), as it is for Aronian to refuse to play in Baku (on account of Armenia and Azerbaijan having been on close to a war footing for many years). 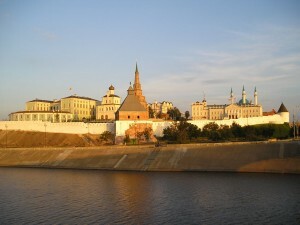 Can Topalov scupper the plans to move the tournament to Russia? Dvorkovich creates a genial impression e.g. a Twitter from yesterday: “Today I’m flying to Kazan, there are things I need to discuss with the city and republic authorities. And also family matters!” But as the Karpov campaign for the FIDE Presidency knows to its cost, that facade conceals a steely determination. Perhaps at this stage it’s worth recalling, a little wistfully, that FIDE turned down an offer from UEP to run the matches in Germany. At the time Josef Resch, the President of UEP, claimed that Ilyumzhinov had broken off negotiations on account of the size of the FIDE logo during the Anand-Kramnik match in Bonn. Ilyumzhinov rebutted that claim, though it’s hard to imagine that accepting the UEP bid would have led to the same chaos we have now. It looks as though the compromise mentioned above (then edited out) by Mamedov has come to pass. The Candidates Matches are being switched to Kazan, but Shakhriyar Mamedyarov, the Azerbaijani nominee, remains one of the players. The information was quoted on the Chesspro.ru forum as coming from Yury Vasiliev, perhaps the best known Russian chess journalist. The question now, of course, is whether Topalov carries through with his threat. Vasiliev said that Kirsan Ilyumzhinov is going to personally call on Topalov not to take hasty actions, to think things over properly, and to agree to play in Kazan. But will he!? We were misunderstood. Topalov isn’t refusing to play in Russia. He’ll travel to Khanty-Mansiysk for the Olympiad and will play for Bulgaria on board one. Topalov is refusing to play a match in Russia with a Russian player, if that match is linked to the title struggle. The likelihood of Topalov playing a Russian player in Kazan is small, as for that they’d both have to get to the final. The only other loose end was Sutovsky’s proposal to lengthen the matches. It seems as though this has been rejected, with one problem being Gelfand’s principled stance that more changes, however well-intentioned, shouldn’t be made during the current cycle. See “Update 2” at the bottom of this Chessvibes report. Great update with all the info. Danailov will issue open letter to sue FIDE now. What else does he know. I wonder if Karpov will use this chaos as an opportunity for his campaign. My guess is that Danailov won’t sue (or even threaten to sue – it’s hard to see what grounds he could have! ), but when Topalov eventually agrees to play he’ll have some more leverage to use against FIDE in future – just as he got the match against Kamsky, and therefore Anand, by making a totally unrealistic rematch proposal. On the subject of leverage – I think Dvorkovich has put on a demonstration of why it’s better to have Ilyumzhinov (who they can manipulate) than Karpov, but it’s a pretty short term (and ugly) strategy! Nothing new, really, but Yury Vasiliev’s comments at the forum have been confirmed in a short report he wrote for the most popular Russian sports paper: http://news.sport-express.ru/2010-07-26/376743/ The only thing to add is that he seems to have got his information “straight from the horse’s mouth” (i.e. Ilyumzhinov), and that if Topalov refused to play then Grischuk would take his place (as no. 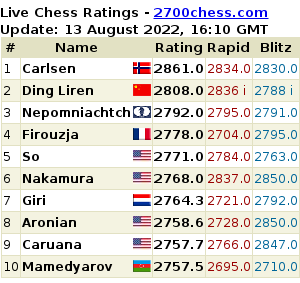 3 after Carlsen and Kramnik in the relevant rating list – as Aronian and Topalov got their places for other reasons). How about a translation of this article? If you’re interested, then in the article you mention there’s a link to an English version of the “contract” between FIDE and CNC: http://www.apn.ru/userdata/files/cnc/cnc2.doc Worth pointing out at once, perhaps, is that it’s not a contract, but a Business Plan giving possible contract details that might, presumably, change. “Thus nothing depends on the result of the FIDE Presidential election. It’s time for Kirsan Ilyumzhinov and Anatoly Karpov to stop competing with each other. They should just agree how they’re planning to divide the 100,000 dollars that FIDE will get from CNC in the first year of the contract, and the 300,000 dollars in the following years. Which I think is a little fatuous. 1) Presumably if Karpov wins he’ll still be able to alter any contract or agreements – we all know nothing’s really set in stone with FIDE. 3) Isn’t FIDE’s main source of income, or at least a large source of income, the fees it gets from federations? So regardless of commercial rights there’s still a large chunk of money for the FIDE president to decide how to use. It’s nonsense to say the president won’t have a say in that. In my opinion the whole situation in Russia has been accompanied by heavily biased articles on both sides. The most scurrilous attacks have come against Karpov, but there have also been quite a lot of articles against Dvorkovich and co. written by “publicists” or political commentators, who often seem to have a poor grasp of the specific situation with FIDE, or chess in general.